It should not come as a surprise when you discover that your office in Bermondsey has outgrown its furniture. It is a sign of growth and prosperity. This opportunity presents itself with an option to look for a bigger and better workspace. However, even if you do not move to a new space, the centre of the issue still stays the same – What do you do with the existing furniture? This is where an informed strategy about relocation comes into picture. We have collated a few tips for you to be able to make a wise decision. • Plan and think ahead – Just like you make a 5-year plan for your organisation’s goals, be sure to include furniture a part of the facilities and operations as well. Putting away some funds each year for the relocation/furniture removal will reap benefits in time of dire need. It is wise to keep professional relations with the furniture suppliers in Bermondsey, SE16as looking for a new one can be more expensive than going back to the old one. Keep a space handy where you can keep piling on bits and pieces of furniture that are of no use to you now. It is a gradual process mostly, but you may choose to change it altogether as well. Keep making lists of the removals to be done from the workspace. Remember that it is a team effort and must stay that way. • Recycle – Environment friendly removals are mandatory for organisations as the carbon footprints are slowly and steadily becoming a parameter of a company’s health. It is best to not jeopardise it at any cost. Sort the furniture in groups like wood, metal, plastics and like. Read about the public policy on disposal of each to ensure the correct method is adopted. You may sell the raw material or the furniture piece as a whole, which will depend on the condition of the produce as well. In case the metals and wood can be reused in some form, it will be the best solution ever. You may also ask the staff if they need some of the furniture and sell it off to them at a discounted price than what you quote in the seconds’ sale. • Declutter and organise – Moving furniture in SE1 takes up space and man power as well. Chart out a plan for the move and inform the employees ahead of time. It is wise to have a stop-gap arrangement for the time between the removal and arrival of the new one. 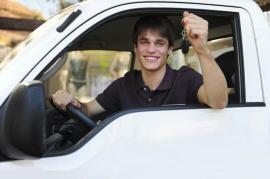 Man and a van hire are popular these days because of the cost involved. One may choose to hire only the van or the driver along with it. The van compartment accommodates the office furniture and takes them to the suitable place for disposal. • Professional moving companies – A lot of players in the market are available offering hassle-free removal services in Bermondsey. First, they generally come and take a look at the items that they have to deal with. After a careful observation, the details are defined i.e. how many man hours, lifting, loading, price points, etc. You must consider the best in the business and also the ones that are suggested by peers. Testimonials and word of mouth come in handy. A team of professional fitters who dismantle and package everything on site to keep it in the best possible condition come with all good moving services providers. Discuss the storage and transport options available. Check the contract for hidden costs. The removals company operating in E1 must stick to the plan suggested so that there is no delay or overlap between the old and new furniture. Removal Assistance In Kensington - Hire The Right Mover!